Bought one years ago for my mixing station but got out of the hobby a few years ago. Just got back in the hobby and really liked the last one so I decided to buy it again and I'm just as happy with this one. Solid pump and it's not that loud. Trying to get a refund, must have gotten a lemon since I could not even get my to pump water for my mixing station. Upgraded to the new VarioS4 and let me tell you what a pump, Build like a tank and silent as a Ninja. Most likely will even upgrading my EctoTech Vectra M1 and use that for my manifold and buy the VarioS8 for my main return pump on my up and coming 150 nuild. I bought this for my mixing station and have been very pleased with the quality and zero noise level from this. It gives me enough pressure for my station that I ended up re-plumbing my mix station and added an exhaust faucet to it to push over to my tank for filling. No more buckets! Next pump needed will be another Pan. I've been having nothing but trouble with Mag pumps so I decided to purchase the Panworld 40PX. What a difference!! This pump runs so quiet that I have to get up close to it to see if it is running! 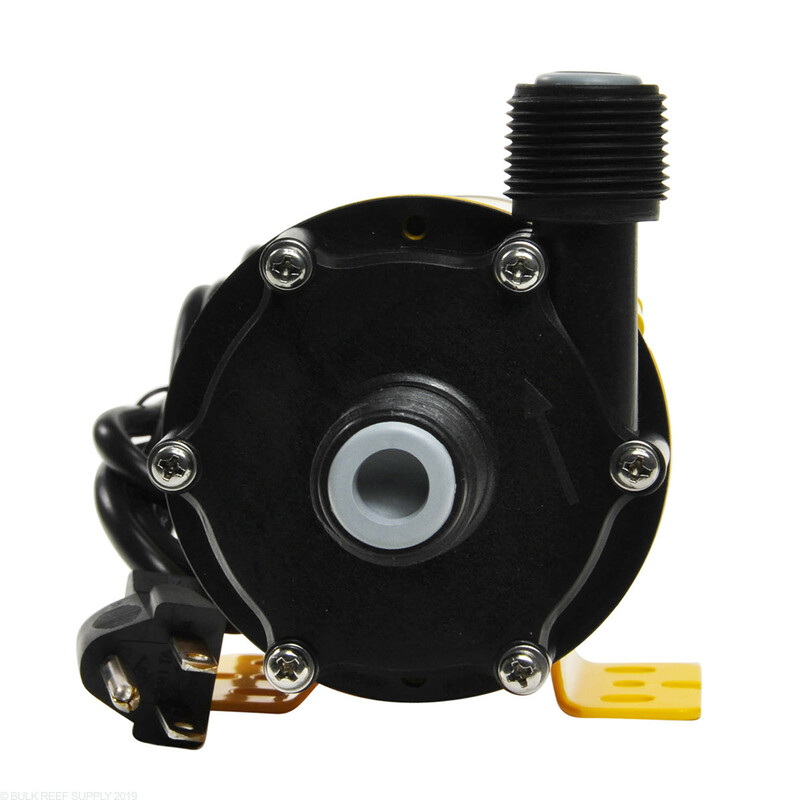 This is a very quiet high quality pump. I don't understand how people find fault with it. If you know pumps this is quality. Bought the 40px to run my mixing station, and could not be happier. I was very pleasantly surprised at how quit this thing is. It dose run a tad bit hot but not to bad. Very nice pump. I have a couple of these pumps on my system. These pumps are good quality thought they do run a little louder than the Iwaki brand, but they also come at a cheaper price. Since most of my equipment is in a room and not under the aquarium, I was ok with the louder pumps. Surprised at how quiet it is. Can't hear it at all. Using it for my water mixing / auto top off at 6' head. Had to buy a 3 prong extension cord as the power cord was short 1'. Hello. Looking at the front of this pump, the screws appear to be spaced evenly apart. Can the head of this pump be "clocked/rotated" to position the output in a different direction? 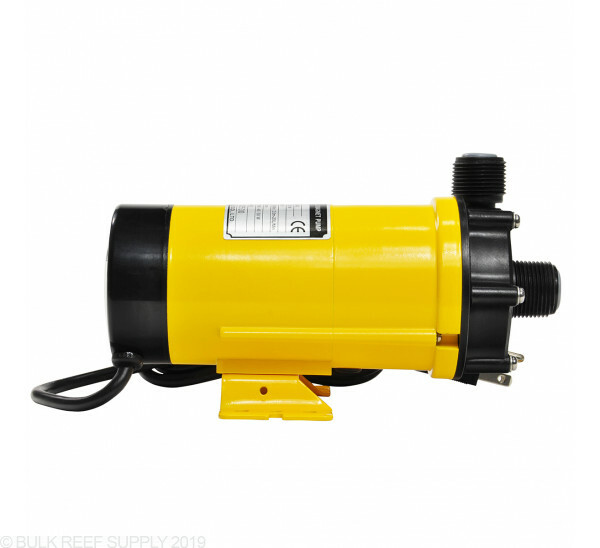 Also can this pump be mounted vertical and (or) horizontal. Last question, does this pump have a cooling fan? I appreciate your time, Thanks! The head of the pump cannot be rotated unfortunately and will need to remain constant. 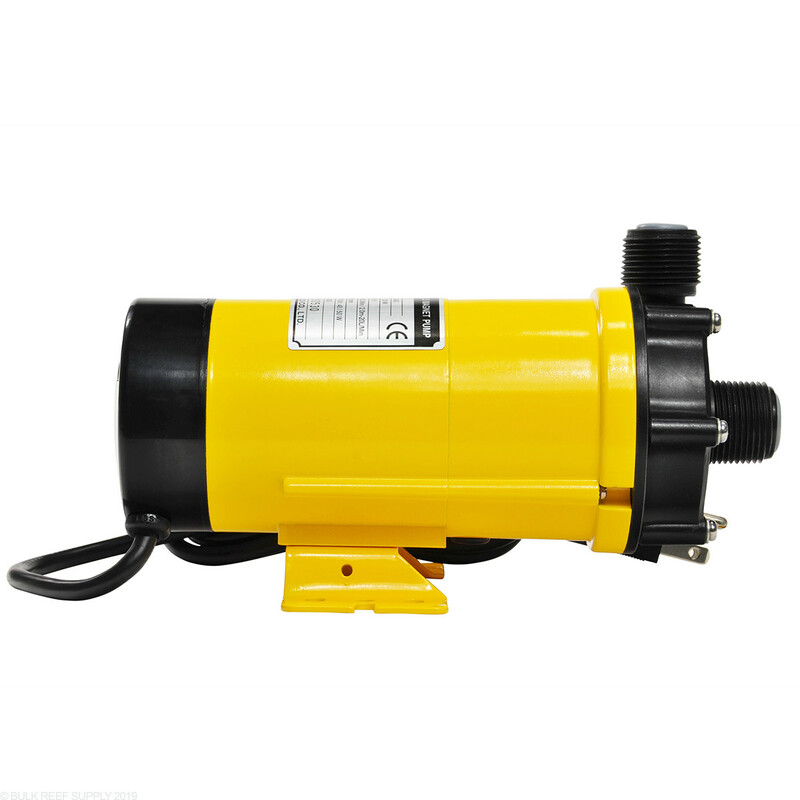 This pump can be mounted in a position as the water intake is lower than the output, either horizontal or vertical. This will not come with a cooling fan. Feel free to let us know if you have any further questions! Does a standard threaded PVC adapter fit on the inlet/outlet? I will be plumbing it to a saltwater storage tank for circulation. These pumps come with standard NPT fittings meaning they will work with any NPT rated PVC adapter. These are the most common adapters and the ones currently available on our site. Can this pump pull water, or just push water, or both? Thanks! All of our pumps only have the ability to Push water. 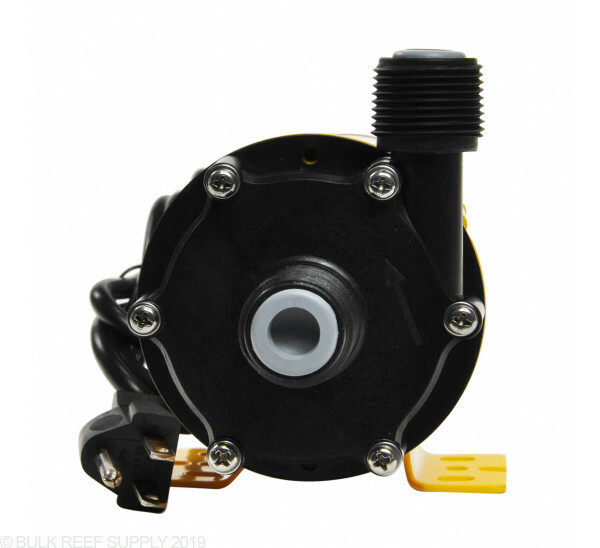 For a pump which can pull you may need a self priming pump. Feel free to let us know if you have any further questions!